Readers of esoteric philosophy might consider studying Confucius. Though not easy for the general public to have access to its details, the fact is well-documented that H. P. Blavatsky made a severe self-criticism, not long before her death in 1891. Writing to friends in 1889-1890, she said that she had underestimated human weakness in matters of Ethics. She had taught too much “Occultism” and given out sensitive information about the Path in a civilization whose ethical foundations were more fragile than she could anticipate. She tried to correct that in her later writings. If present generations of theosophists want to make use of that sour lesson learned by H.P.B. as she neared the end of her 19th century mission, their task may include putting theosophy on a firmer and most lasting ethical basis. Numbers and appearances do not matter: it is the Few who make the difference. It has been said that Ethics is the art of sowing good karma. Each level of knowledge is inseparable from its corresponding degree of duty and ethics. No legitimate knowledge is divorced from moral duty. Information about life is worse than useless without a noble intention, as J-J. Rousseau brilliantly demonstrated in the 18th century. A natural task resulting from such a fact consists in looking around and seeing what are the best ethical resources and guidance available in the universal literature of the last 3,000 years. 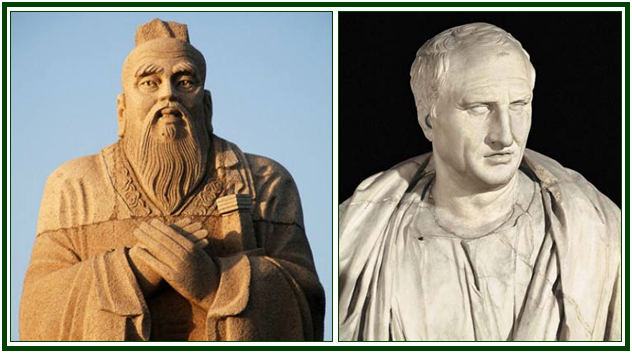 Among the most valuable teachings on the topic one can see works like “On Duty”, by Cicero; “Protagoras” and “Sophist”, by Plato; the texts coming from Epictetus; the books by Seneca; “Meditations”, by Marcus Aurelius; and the works of Confucius. In the second part of 20th century, Erich Fromm made a great contribution. There are others. The ethical question is a sensitive issue for the esoteric movement. Lack of ethics and discernment is related to the root-causes from which emerged phenomena like pseudo-theosophy, disloyalty towards the founders of the movement, adoption of false rituals, pursuit of UFOs and widespread fake clairvoyance. Trouble did not start in the 20th century. The non-appearance of the announced third and fourth volumes of “The Secret Doctrine”, and the very date of HPB’s death – which took place earlier than generally expected – are perhaps linked to a perception by the “Powers that be” that the ethical foundations in Western Public and in the theosophical movement were not quite rock-solid in the late 19th century, and it was better therefore to let the “female disciple” have some rest, giving mankind time to absorb what had been taught already. It is up to theosophists to make long-term, self-devised efforts, on the basis of the teachings received. One must rely on one’s own conscience and silent intuition, and learn from experience. Theosophical or universal Ethics is among the greatest human needs. The theosophical movement must start by examining itself and its relation to legitimized fraud and saintly falsehood within its ranks. There are good signs already, and a conscious effort can be made to accelerate an ethical awakening and a liberation from delusions. One of the main lessons to present and future generations is in the axiom “first deserve, then desire”, which H.P.B. included in her text “Chelas and Lay Chelas”. See “Collected Writings”, H. P. Blavatsky, TPH, USA, Volume XII, pp. 581-590, especially pp. 583-584. An initial version of the above article was published in “The Aquarian Theosophist”, October 2012 edition.